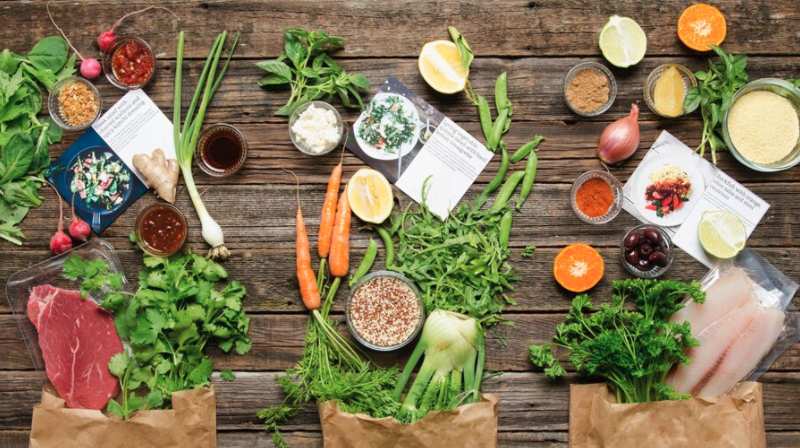 Sun Basket has raised $42.8 million in new equity funding—along with $15 million worth of debt—in a Series D that values the meal-kit delivery company at nearly $508 million, up from the $459.2 million valuation it reached last May. That makes Sun Basket one of the most valuable private companies in the meal-kit space and puts it within striking distance of rival Blue Apron, which currently has a market cap of roughly $590 million. The new round of funding is a win for Sun Basket, particularly because it comes just about half a year after Blue Apron held a disappointing IPO. The company has been struggling financially ever since its public debut. "This has been by far our most challenging fundraise. Obviously, there's been some noise with last year's IPO," Sun Basket co-founder and CEO Adam Zbar told PitchBook, referring to Blue Apron. "I told the team that it was going to be a challenge to raise this round, but if we do it, we'll be a big competitor in the space." Zbar attributes the company's success—both in terms of its growing revenue and the fact that it raised a relatively large round in what's been a tough year for meal-kit delivery companies—to its focus on healthy ingredients and recipes. Sun Basket's product launched in early 2015 with a mission of providing diet-specific meals and making healthy cooking easy for its customers. "From my perspective as an investor, the Blue Apron news has been a distraction that I appreciate," Tripp Jones of August Capital, which led the equity part of the financing, told PitchBook. "In five years we'll all have forgotten about it, and hopefully Sun Basket will be a healthy, strong business." Jones also said the startup's focus on specific diets—including pescatarian and paleo—is helpful to its performance because it's difficult for people to find recipes and ingredients when they're on a strict food plan. Sun Basket's net revenue has jumped by 280% over the last year, and hit $250 million in annual revenue run rate at the beginning of this quarter. The company has more than twice the retention rate of its competitors, Zbar said. Its rivals include HelloFresh, which went public in November 2017; Plated, which was acquired by Albertson's last fall; and Green Chef, which is valued at $180 million on the private market. This latest round brings Sun Basket's total equity financing to nearly $100 million. Its value has steadily increased, growing from $25 million the year after its launch to its current valuation of more than $500 million. The company was the subject of IPO rumors early last year, before Blue Apron and HelloFresh took the plunge into the public markets. "We're on a path to profitability. If we turned off marketing tomorrow, we'd be profitable," Zbar said, though he declined to comment on whether the company is heading toward an IPO. "I can tell you that Sun Basket is perfectly poised to be the type of company that would be public." Interested in more on the meal-kit industry? Check out our datagraphic on Blue Apron's 2017 IPO.